Surprise, a photo by sundero on Flickr. My D60 is trying to die on me, but this image I think was a gift. I had no idea the spider web was in this photo and in fact I almost didn’t even look at it. But when I checked it out on actual size, the web was there, in beautiful focus. 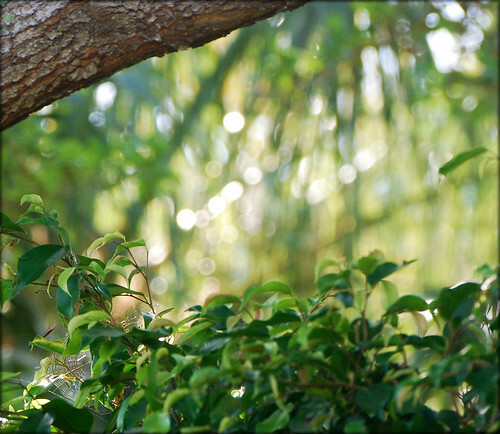 I would have cropped it tighter, but I also loved the light and the palm frond so I left them there as well. Bird Dog 3/52, a photo by sundero on Flickr. 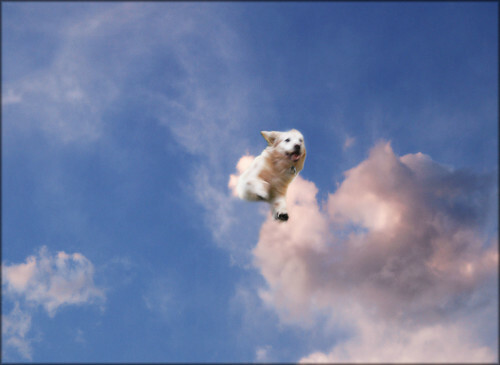 It’s been a long week, fly into the weekend and enjoy! Happy Birthday NM, a photo by sundero on Flickr. My Mom’s family moved from Texas to New Mexico before it was a state, back in the early 1900s. I wonder how they celebrated statehood? I’m sure it was a very big deal to them. The house my great grandmother lived in was the first house in Dexter (or so I was always told) and my grandfather’s parents owned a house in Roswell. It’s gone now, there is a commercial property on the land. 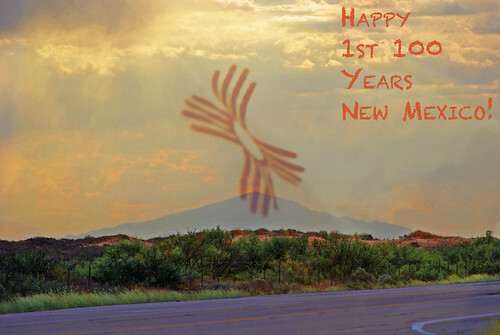 But my Mother grew up there, and although I haven’t gotten to live there in years, New Mexico is home to me. I travel back every chance I get. If you’ve never visited, you should. It truly is the Land of Enchantment! The main event was a Prime Rib Roast using Pioneer Woman’s recipe and it was outstanding. In addition we had Easy Maple Mashed Sweet Potatoes, Roasted Creamed Corn (my husband’s recipe), Sauteed Mushroom Medley, Cucumbers W/Balsamic Vinegar and a nice red wine. Hope everyone had a wonderful Christmas and the rest of 2011 is full of magic and whatever it is that makes you happy. Here’s wishing only the best for 2012. 🙂 Oh, and yes, Pauli got some of the roast. And she pronounced it perfect! Golden Christmas Wishes, a photo by sundero on Flickr. 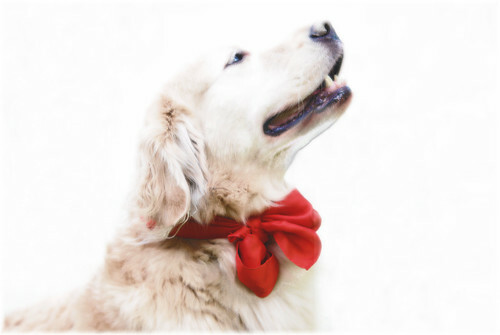 Still working on Christmas things, but as the holiday approaches I realized I had not done Pauli’s Christmas photo! So, here she is, wishing you all warmest Christmas wishes! Even she knows that Christmas is all about love! 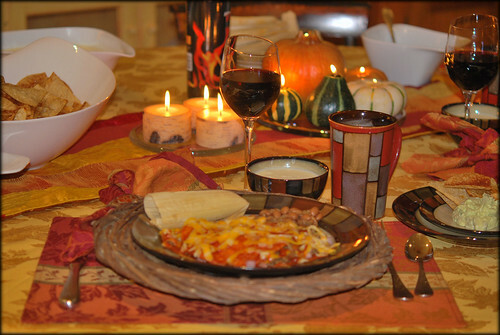 Thanksgiving 2011, a photo by sundero on Flickr. I hope everyone had a wonderful Thanksgiving Day, if you are where you celebrate it, and if not, I hope you remembered to be thankful anyway. I often don’t remember to be grateful for the large things, much less the small ones. Someone mentioned that being born in the time and place I was is like winning the lottery, and he was right. So, in addition to being thankful on this one day, I need to try to remember it every day. May you always be blessed and may you always remember to be grateful. God Bless. Some Gave All, a photo by sundero on Flickr. In honor of all Veterans on Veteran’s Day. Norman and Catherine, a photo by sundero on Flickr. You probably wonder who the heck Norman and Catherine are. I have no idea either. 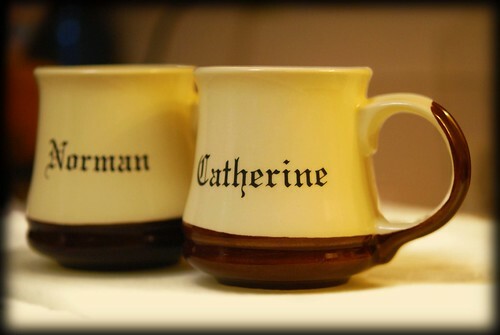 These two cups still sit in my Dad’s cupboard and every time I go home to visit him I look forward to being either “Catherine” or “Norman”. It hardly matters which one I am. My Mom bought them somewhere, because they were on sale. It didn’t matter that her name wasn’t Catherine (or Norman!) and neither was my Dad’s. In fact, none of us was named Norman or Catherine. They were good cups and they were on sale. That was how Mom was. She liked a good sale. And so, when I would visit, she and I would be Catherine and Norman (we didn’t care who would be whom) and it became a funny joke between us. Now that she’s gone, when I visit Dad, sometimes my Dad or husband is Catherine or Norman, and it still makes me happy to laugh about it. Memories are like that. Or should be. 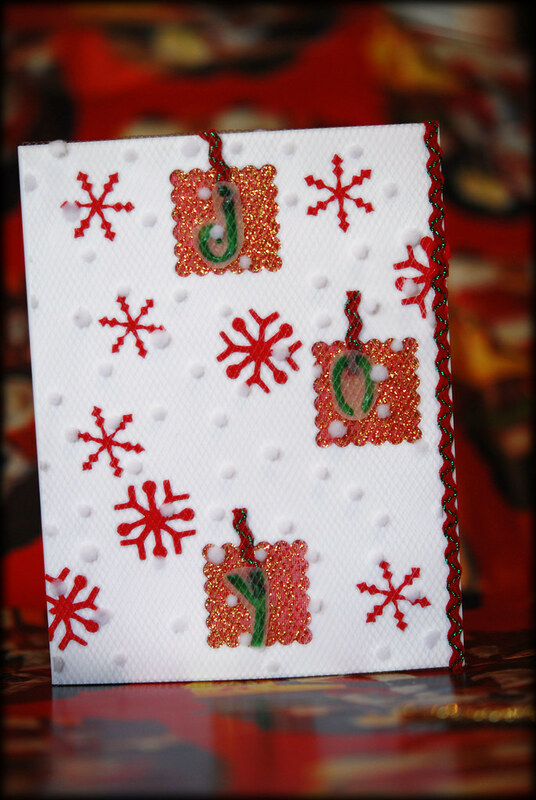 Because today is also Handmade Monday please go check out the link and see what everyone is doing. I have been out of town on vacation, but promise to get back on track, making things and posting recipes and back to my normal blogging self! Morikami at Night, a photo by sundero on Flickr. We went to the Morikami last night. It’s a Japanese garden and museum here in South Florida. We love to go there and enjoy the natural setting and take photos. Because I lived in Japan as a child is has that feel of being “home” to me and it’s also just beautiful. They normally close at 5 pm, but once a month from May through September they have Sushi & Stroll and you can enjoy the gardens until 8:30. 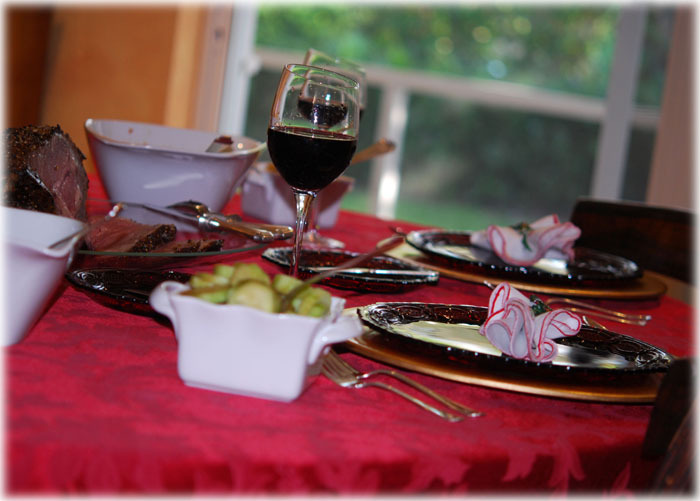 They also have various other things going on including a buffet dinner. We had sushi (of course!) and mochi ice cream (I promise I’m going to try my hand at that later this year and blog it!). I took over 200 photos, but this was my favorite. It was a rare opportunity to get an image of the lights on the water. I just had to share. 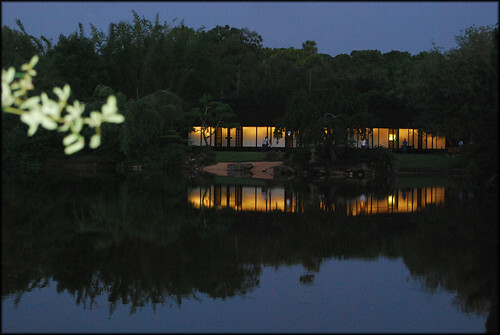 If you live in the area, do go check out the Morikami. It’s a real jewel here in Delray Beach. And if you’re trying to think of a place to see on vacation, do check it out. Just remember, it’s closed on Mondays!